February 25-28, 2013 in Barcelona, Spain, at Mobile World Congress, leaders of the mobile community come together to collaborate, create business opportunities, and discuss the vision for leading the 4G mobile Internet transformation. 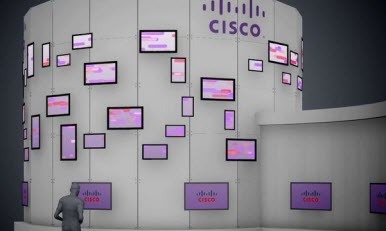 Cisco Systems officials at the Mobile World Congress event will be demonstrating new intelligent software and small cell hardware designed to make it easier for carriers to expand the connections of their wireless networks. At the show, Cisco officials will show off their new Quantum software portfolio, the result of more than $1.5 billion in acquisitions of smaller mobile technology companies over the past few years, including Starent Networks in 2009, and Cariden Technologies and BroadHop, both in 2012. The Quantum portfolio—announced Feb. 19 along with the new small cell hardware offerings—is designed to enable wireless service providers to better analyze and monetize the rapidly growing amount of what Cisco officials are calling “data in motion” in their networks, which include 3G, 4G and WiFi, according to Kit Beall, area vice president for service provider mobility for Cisco. Quantum can take real-time data about network conditions, applications in use and customer profiles, analyze it to draw out useful information, and act on those insights based on carrier policies. For example, if a cellular network’s performance is falling short for a “high value” customer, such as an executive trying to do a video conference on a mobile device, Quantum could automatically shift that user to a nearby Wi-Fi network. Real-time data about nearby networks and the customer’s priority would dictate that decision, according to Shailesh Shukla, general manager and vice president of Cisco’s software applications group. The WAN Orchestration Suite is a set of tools to enable providers to more easily manage network traffic and capacity, improve efficiency and reduce operational costs, particularly in Internet Protocol/Multiprotocol Label Switching (IP/MPLS) networks. Cisco’s efforts around small cells are designed to create more intelligent access into the networks and to help carriers such as Verizon Wireless and AT&T expand their coverage, according to officials. Included in Cisco’s offerings is the 3G Small Cell Module, which can be attached to Cisco’s Aironet WiFi access points to create an integrated 3G and WiFi wireless environment. Cisco also will sell a standalone module that will offer the same capabilities, Cisco’s Beall said. In addition, Cisco is rolling out the ASR 901S router, which offers the ability to deploy large numbers of small cells outdoors on such mounts as light poles that will bring together the wireless signals—3G, 4G and WiFi—from mobile devices with fiber and copper backhaul. The router is another example of growth in demand for hybrid networks that leverage both cellular and WiFi capabilities, Beall said. “We’re really seeing the rise of heterogeneous networks,” he said. What Events Defined Cisco’s 2012?